This privacy statement discloses the privacy practices of Insperme Consulting, (owner of the brand Insperme Consulting) for the website located at http://www.insperme.com (the “Site”), related services, and Email communication to @http://www.insperme.com and @http://www.insperme.in domains, and other websites on the subdomain of http://www.insperme.com, and its corporate affiliates (collectively, the “Service”). You must understand that our services may be associated with certain other third parties as well, and the conditions and privacy like online storage services and payment providers, and you agree that Insperme Consulting is not responsible for any such third party terms and conditions and their use of any of your information. This policy is strictly with the use of information collected by Insperme Consulting. 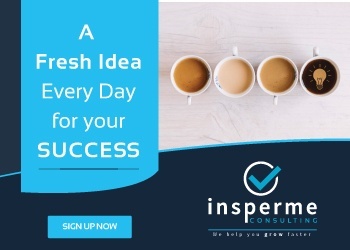 Insperme Consulting automatically tracks your IP addresses. Your IP addresses are registered for statistical purposes and in order to improve our advertising and layout of our Website. You agree that Insperme Consulting and its associated companies may use the Information for marketing and promotional purposes. Insperme Consulting does its utmost to secure communications and data storage in order to protect the confidentiality of your Information against loss and interception by third parties. However, it is important to know that there is no zero-risk against loss or interception by others of your Information. You are responsible for maintaining the security and confidentiality of your Account’s username and password.